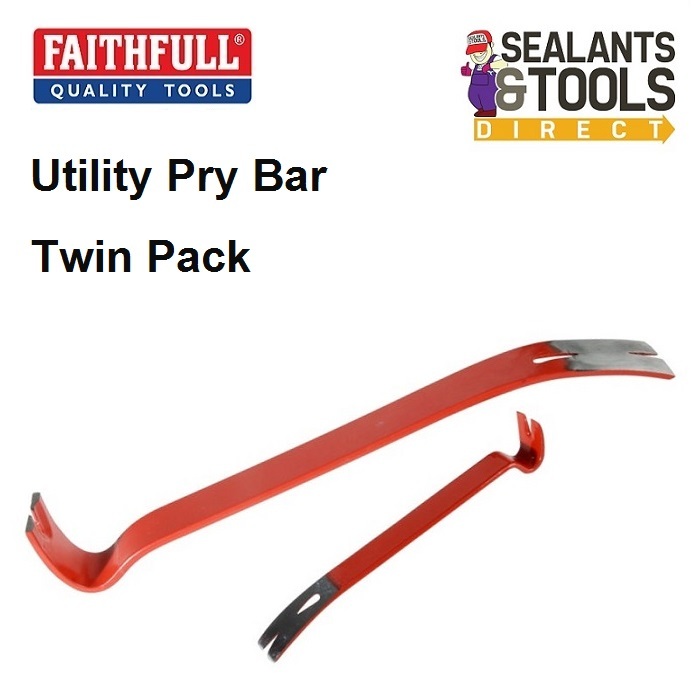 The Faithfull Utility Bar Twin Pack a useful addition to any tool kit for the professionals or home handymen. These versatile bars enables a wide range of light duty levering work to be performed in and around the workplace or home. The flat bars have bevelled ends designed for such tasks as opening boxes, crates and manhole covers. Ideal for removing nails and prying lightweight doors and windows, as well as a multitude of other light levering applications. Manufactured from high quality alloy steel and are enamel coated to ensure maximum resistance to rusting. 1 x 7 inch - 177mm. 1 x 15 inch - 375mm.